Kypseli, which is Greek for “beehive,” is one of the most densely populated and multicultural neighborhoods in Athens. Once one of the city’s more noble areas, Kypseli has lost some of its former glory as a cultural, bohemian district. Many of the local residents today face unemployment, poverty and social exclusion. Built in the 1930’s, the Kypseli Municipal Market used to be a thriving social hub on Fokionos Negri, a wide promenade which became one of Athens’ first pedestrian-only streets. Over the years, it fell into decay and was threatened by demolition in various occasions; had it not been for the persistent intervention from some of the neighborhood’s most prominent and active citizens, Kypseli Market would have likely been turned into a parking lot. 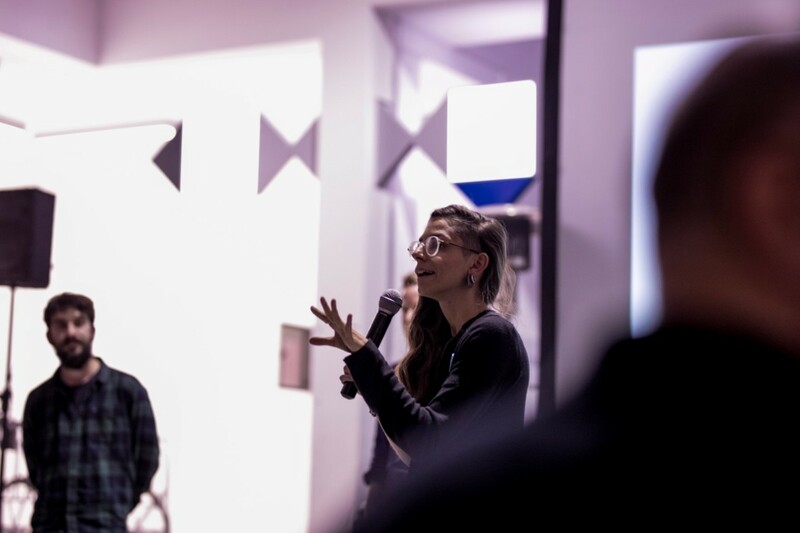 After a long and controversial process, the market was renovated by the Municipality of Athens, and Impact Hub Athens took charge of creating and implementing a strategy for the use of the space, focusing on social entrepreneurship and innovation. Many in the neighborhood were skeptical and against this new direction. As the new market’s opening day approached last October, Impact Hub’s team had been working intensely with the community to get citizens on board. Dimitris Kokkinakis and Sophie Lamprou, Impact Hub Athens’ co-founders, had the new and challenging task of running a market hall. So they were grateful when a team of urban changemakers from all over Europe offered their help with developing new formats for the market. CityToolbox is a project created by six Actors of Urban Change teams from the first generation: Athens, Aveiro, Berlin, Lublin, Maribor and Zagreb. In 2015, they launched an online learning platform where young people taking action for positive change in their cities can discover tried-and-true tools which they can apply to their own context, as well as share their tools with others around the world. The idea behind the platform is simple: “change it yourself” — anyone should be able to transform their city. Since then, the platform has expanded to include tools from São Paulo to Kolkata. But the team noticed something was missing. “Having a platform is not enough. We have to bring it to life,” said Miodrag Kuc from ZK/U in Berlin. In order to bring it to life, Miodrag, together with 7 other team members, started planning the first CTB Lab: an intensive, 3-day workshop where the CityToolbox team and a local team work together to apply a particular tool to their local context. They started looking for places in need of this hands-on co-creation approach. CityToolbox’s team in Athens was familiar with the plans for the Kypseli Market and saw the potential in their collaboration — but also warned that it presented quite a challenge. The team didn’t shy away from the potential conflict, consulting with people outside the teams to get a more objective perspective. After several calls with the Impact Hub Athens team, both sides decided the collaboration would be a good fit. “We want to learn from actual practitioners. They can tell us the little things that can make a huge difference in the project,” Sophie added. Already early on during the lab, it became clear that one of the areas they wanted to focus on was community development. “It’s about making the invisible social layers visible,” Miodrag said. 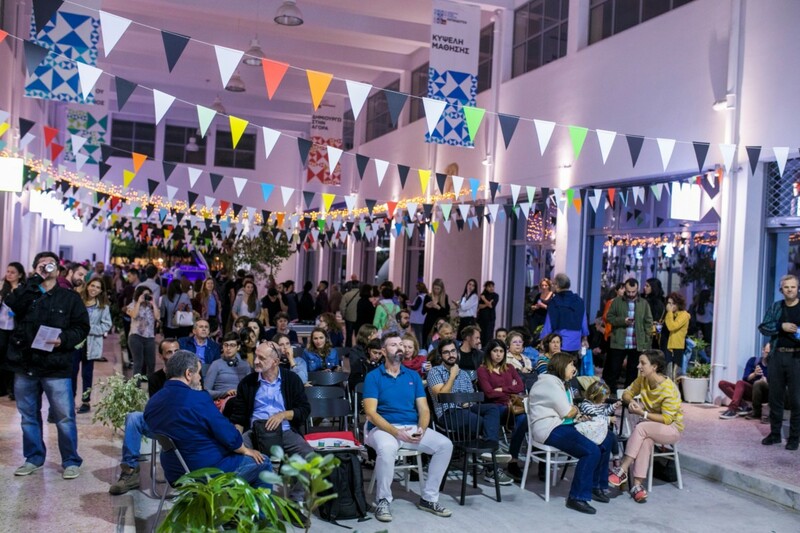 Impact Hub Athens’ vision is to revive the Kypseli Market and transform it into a hub for social, entrepreneurial and cultural activities for and with the local community. They want to cater to their actual needs while at the same time offering a testing ground for innovation in the neighborhood. Ultimately, they hope to create a sustainable, inclusive model for the market’s long-term operation, which can then be applied to other areas, buildings and initiatives within the city. The market is already home to eight social enterprises, including a computer repair and recycle shop, a shop featuring regional products from small producers, a social florist that employs people with disabilities, and a second-hand shop. 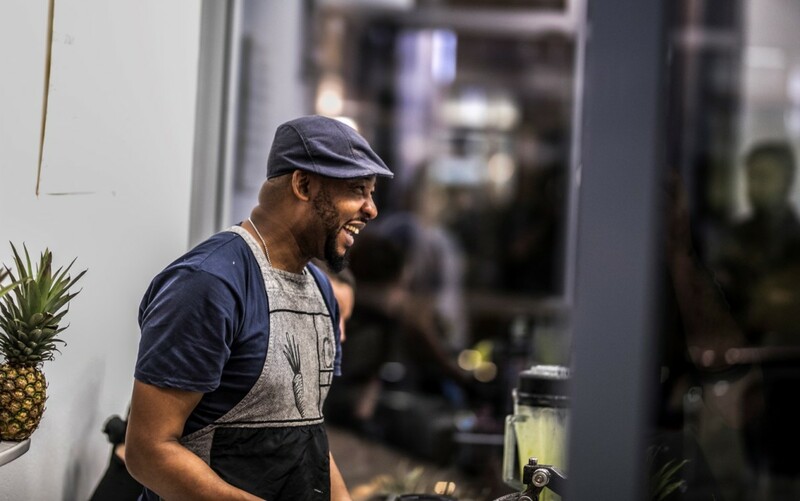 A series of cultural and educational activities have already started taking place within the building, including coding and programming classes for teens, music lessons for children, as well as several pop-up events: a farmer’s market once a week, and pop-up food markets every month. The first tool the Impact Hub chose to develop through the CTB Lab comes from Berlin and it’s called “Speisekino”, which literally means “food cinema” in German. The concept is as simple as it sounds: guests are invited to share a movie and a meal in an “urban living room’’ setting. In Berlin, the curatorship of the food/film program is given to a different local organization each time, so they can also raise awareness for their causes. During the lab, the teams started developing a plan for the market, partnering up by area of expertise: communications, logistics, content, and financial structure. On the first day of the CTB Lab was the official inauguration of the new Kypseli Market, with the Mayor of Athens and hundreds of citizens attending the event. At the end of the lab, the CTB team reflected on the process, saying they would take a lot of it back to their own projects.